At Summit Hypnosis and Wellness, we believe in an integrated approach to life, health, healing and performance in order to enhance your overall quality of life. We focus on reversing the effects of emotional, physical, nutritional and chemical stresses through hypnosis, massage, nutrition, detoxification, life and performance coaching. Emotional stress can effectively be relieved or reprogrammed through hypnosis and NLP, while physical and chemical stressors can believe by massage, craniosacral therapy, acupuncture were detoxification. Summit Hypnosis and Wellness offers comprehensive life and health improvement programs, all within one facility. By bringing top professionals together from many different modalities, each client is provided with an individualized program for wellness, personal improvement and success. Whether you need to de-stress mentally, physically or both, we have the perfect program for you. Our society is only just beginning to knowledge that the health, wellness and performance of the body and mind are interconnected. You simply cannot have one without the other. Our mission is to guide our clients in obtaining the best possible health and life experience. Become joyful, grateful and excited about your life! You want to appreciate and enjoy your life. You want to wake up in the morning – each and every morning, feeling grateful, positive and ready to experience joy in your daily life. You have made a decision to be in control of your enjoyment of life. Your goal is to accept all things that are beyond your control as they are, and to move forward in a positive way regarding the things in your life that you can control. 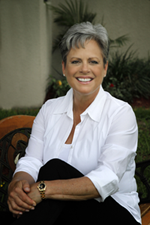 Summit Hypnosis and Wellness is the lifelong dream of Laura Boynton King, CHt. 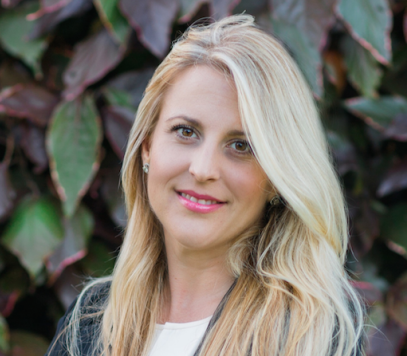 Laura is a certified hypnotherapist and the director and founder of Summit Hypnosis and Wellness. She has been a student of human excellence and positive behavior modification for over 25 years. Staff members include former LPGA golf teaching professionals and business professionals who have developed Programs for Excellence in the fields of sports improvement, corporate stress, safety and customer service programs, in addition to a Comprehensive Weight Loss Program and Smoking Cessation Program. Summit Hypnosis and Wellness professionals are sought out by Olympians, leading-edge CEOs, professional athletes, prominent physicians, award-winning trainers, teachers and parents. They teach individuals how to utilize their mind to make lasting changes in their lives – in their health, performance, self image, and happiness. The professionals at Summit Hypnosis and Wellness help their clients conquer fears, build confidence and obtain unprecedented success in their lives. The hypnotherapists at Summit Hypnosis and Wellness also provide their services at the Sari Asher Center for Integrative Cancer Care, where they assist cancer patients throughout treatment, and in their adjustment to life after cancer.